Miss Supranational 2019 will host its finale later this year where beauties from all over the world will compete for the prestigious crown and the opportunity to serve as a reigning Miss Supranational queen for a year. Correspondingly, Vietnam has selected Ngoc Chau Nguyen as its official representative for the upcoming pageant. The 25-year-old scintillating beauty who stands 174 cm tall is a student of Biotechnology and a travel-crazed diva. She counts travelling as her hobby and apart from this, exploring new countries, making new friends and joining community activities are also included in her hobbies. She has encircled all these things in her hobbies as these things are interesting and meaningful for her personal development. 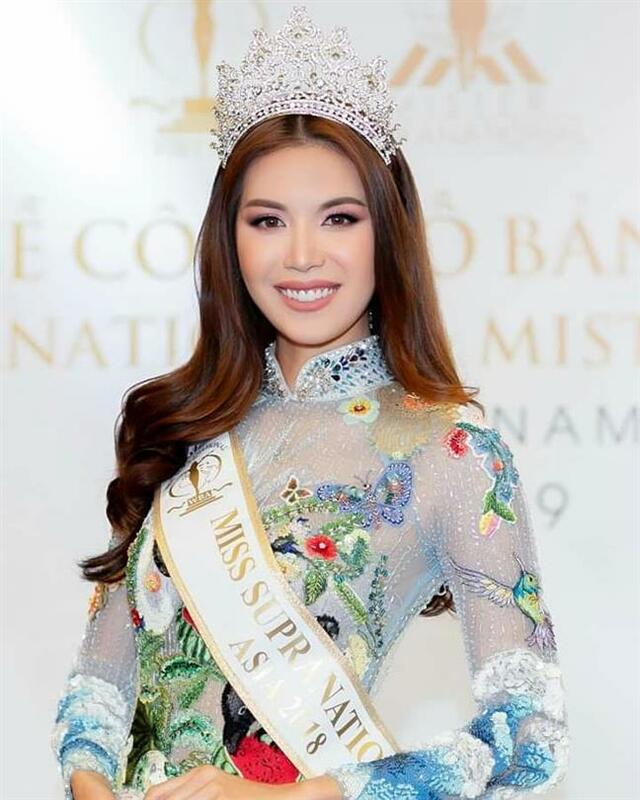 This young lively diva is a novice in pageantry but not a newcomer in the modelling world as earlier she participated in Vietnam’s Next Top Model in the year 2016 where she marked her success by winning the show. Being a student of Biotechnology has made her more conscious about human health care issues. One of her goals is to commence and establish a medical organization that will majorly focus on cancer treatments as well as adequate education about the early detections of cancer and strengthen people with knowledge and provide them with the necessary aids. Ngoc looks like to be a confident diva who can be a motivational soul for others and she seems to have that passion which is required to reach the heights of success, so without worries, she will definitely leave a notable mark in the pageant. Miss Supranational beauty pageant is one of the esteemed international beauty pageants after the four major international beauty pageants. This pageant found its identity in the year 2009 and was held in Poland and since then it is run by the World Beauty Association annually. Delegates from across the globe participate in this pageant and compete for the prestigious crown. Angelopedia wishes this beauty all the good luck and may she fulfil her dreams!